I'm on a roll with KwikSew 3880. It's nice to find a well-fitting, easy to sew pattern. 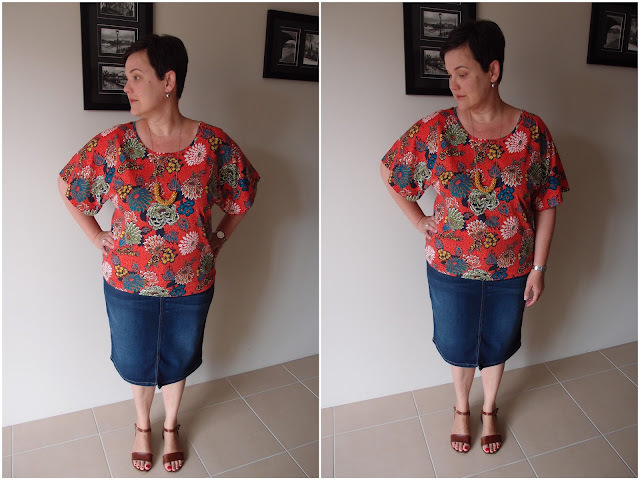 I'm actually thinking of lengthening this into a dress - maybe for Sydney Frocktails which is coming up in February. What do you think? This fabric is my second piece of Liberty jersey bought during The Fabric Store's recent sale. It's a lovely print, but like my last piece of Liberty jersey a total nightmare to work with (super curly). Never again! 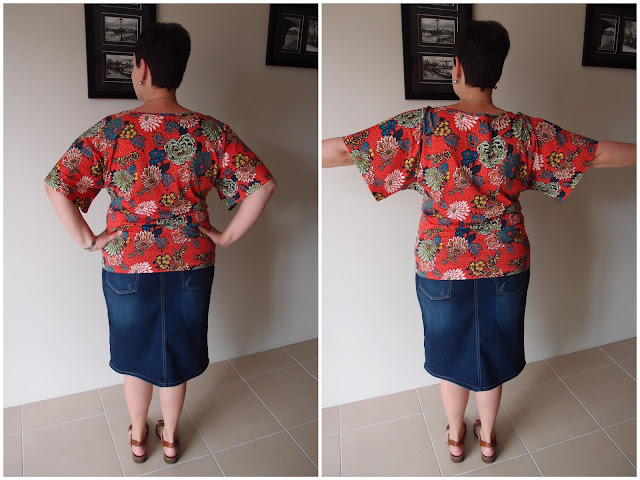 This top is exactly the same has my last Liberty KwikSew 3880 - no changes at all. Neckband...again a total nightmare to attach as the fabric was SO curly. It could possibly be a tad tighter but life's to short to bother unpicking it and trying again. So, I've had my foray into Liberty jersey. Very pretty and lovely to wear but I'm not sure the stress of sewing it is worth it.